When Phillip Jacobs arrived at Victoria International Airport August 4, there was a reception party waiting for him — but not the one he was expecting. Acting on an arrest warrant issued a month before, and a fresh tip, Saanich police investigators and airport security took Jacobs — a former priest of the Victoria, B.C. Catholic diocese — into custody, to face charges of sexual assault, sexual interference and sexual exploitation of children under the age of 14. Jacobs was released after a Victoria-area friend stood as surety for him to the tune of $25,000. Jacobs’ return ticket to the U.S. and his passport were seized, and he was required to stay away from children and his two former parishes, St. Rose of Lima in Sooke and St. Joseph the Worker in Victoria. Jacobs was ordained into the Columbus, Ohio diocese, but after allegations surfaced there about sexual abuse of boys in his parish, he was dismissed. He found work three years later in Victoria, and worked there from 1996 to 2002. Though Victoria didn’t know about the allegations when they hired him, they were soon informed. When Bishop Raymond Roussin took over the diocese in 1998, he wasn’t told about Jacobs — but two years later found out about him from the Ministry of Children and Families, which had been tipped by one of his American victims. Bishop Roussin (later archbishop of Vancouver) told the news media in 2002 that both the diocese and the ministry hired psychiatrists to assess Jacobs — and both said he was not a risk. The ministry now says it has no record of the assessment. Roussin assigned two priests and two laymen to monitor Jacobs’ activities. In 2002, however, his Columbus victim went to the press; and in the ensuing media heat, he agreed with the diocese to leave its employ. Since then he has not, reportedly, served as a priest. According to Sergeant Dean Jantzen, the Saanich Police investigated complaints against Jacobs at that time — but without turning up enough evidence to file charges. However, the file on Jacobs was reopened in 2009 after another complaint was made, and this investigation produced the all-Canada arrest warrant issued in July. Jacobs was, by all accounts, a popular and successful parish priest. Bishop Gagnon released a statement to the effect that tighter vetting of job applicants had been put in place in 2005, which would have prevented Jacobs getting a position in the diocese — including an automatic criminal record check, and psychological assessment. He offered counselling to any alleged victims, and urged anyone with further allegations to come forward. The last time a priest of the Victoria diocese had been charged with sexual offenses was in the mid-80s, he said, and that resulted in a conviction. The local daily paper, The Times-Colonist, has focused on the diocese’s decision to keep the parishes where Jacobs served in the dark, regarding the allegations that resulted in his dismissal from Columbus. This follows the evolution of the Catholic sexual abuse scandal in the U.S. 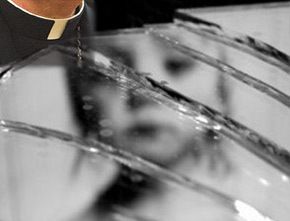 There, the focus moved away from the abusive priests when the scandal broke in 2002, to the decisions by bishops to move accused priests from parish to parish or diocese to diocese — which resulted in some priests molesting more than 100 victims apiece, and also in lawsuits costing the American church upwards of $500 million. But the Catholic church, according to some experts in sexual abuse, acted no better nor worse than other large institutions. David Finkelhor, executive director of the Crimes Against Children Research Center at the University of New Hampshire, said public schools behaved the same way until the Catholic scandal persuaded them to treat abusive teachers any differently. In a famous British Columbia case of ‘passing the trash,’ public school teacher Robert Noyes is believed to have molested hundreds of male and female primary school students in a succession of schools and districts during the 1970s and 1980s. He pled guilty to 19 assaults in 1985. The case resulted in a Royal Commission, and the creation of the College of Teachers to discipline the profession. But Finkelhor believes abuse by priests is more damaging to victims than that by teachers, because priests hold positions of much greater trust. Having adequate disciplinary bodies has been crucial to cracking down on sexual misconduct in the health professions and the clergy of many denominations, said Dr. John Gonsiorek, a professor of clinical psychology at Minnesota’s Argosy University Twin Cities. His own profession of psychotherapy was typical of the health field in the 1970s, Gonsiorek said. But after facing lawsuits for negligence from victims, disciplinary boards began to use the power they had to suspend licenced practitioners, and the professions began to draw up new and tighter ethics codes around sexual misconduct. However Thomas Plante, a psychology professor at Santa Clara University, said he believes the preventive measures that have been put in place by the Catholic church are the standard setters in the U.S. But Plante, too, believes the clergy-only hierarchy in the Catholic church makes accountability more difficult.